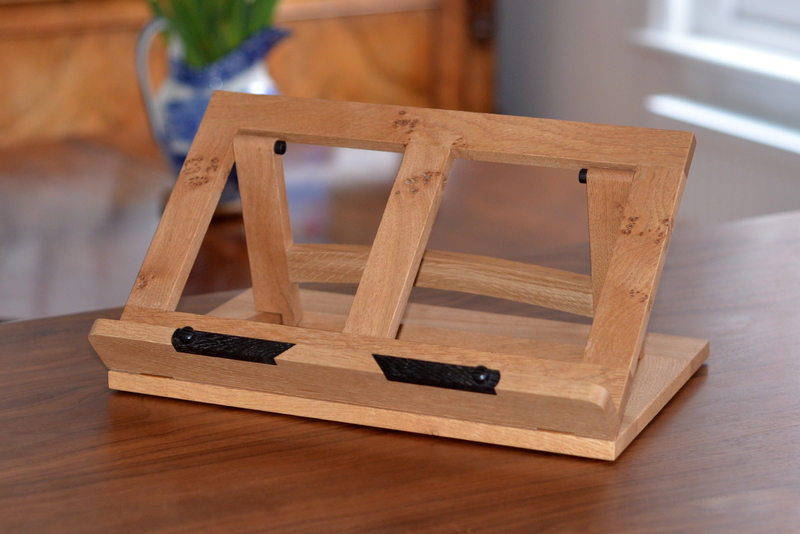 Recent posts have been about experiments or jigs or tools so, to make a change, here’s a folding book (or music) stand in pippy English oak. 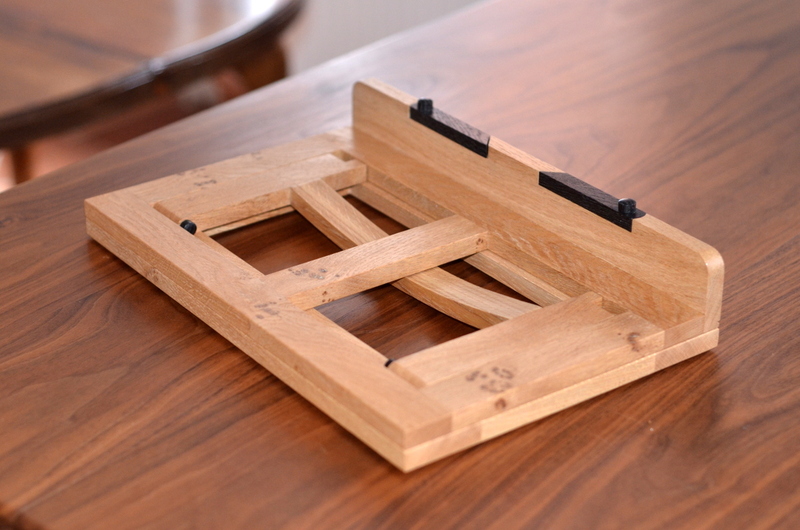 I’ve made quite a few of these in various woods and various sizes. 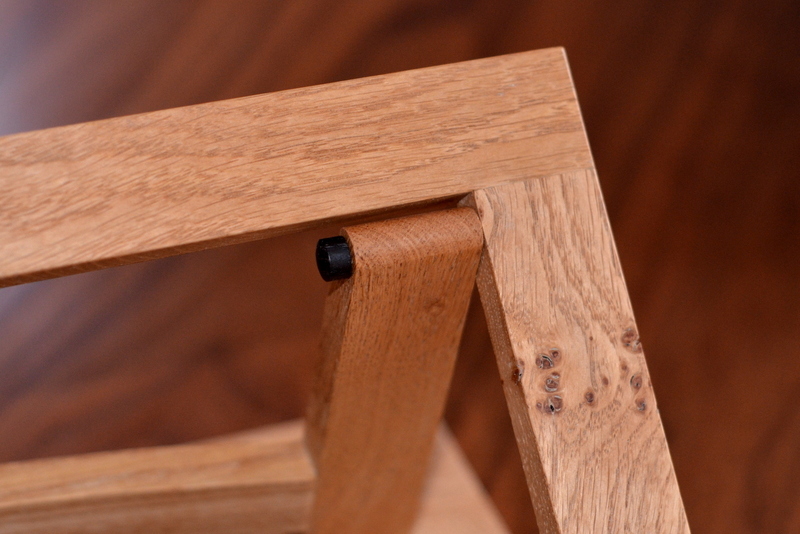 After the curves of violins and guitars, it’s a pleasure to make something based on a right angle. 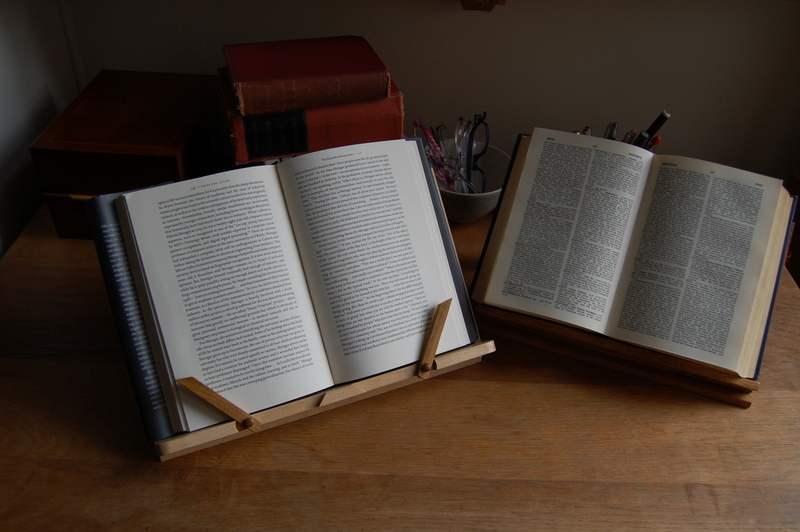 They make good presents for musicians and bibliophiles. 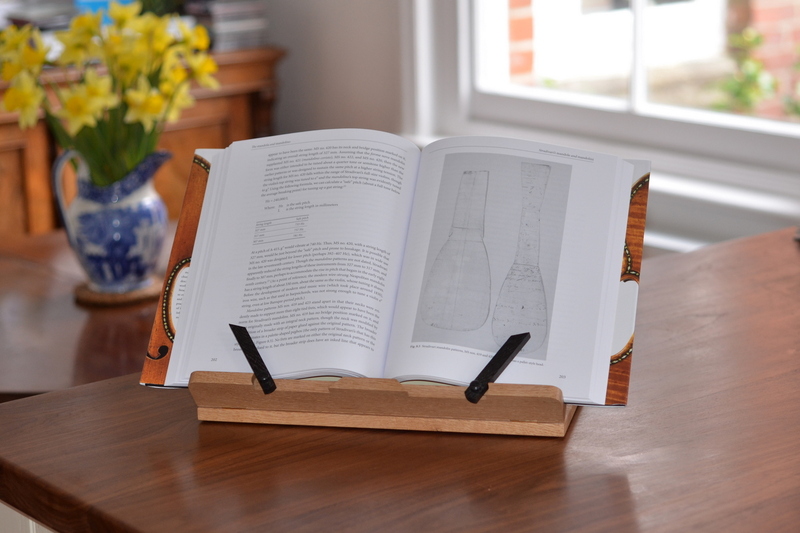 And people who like to cook find them useful for holding recipe books open. 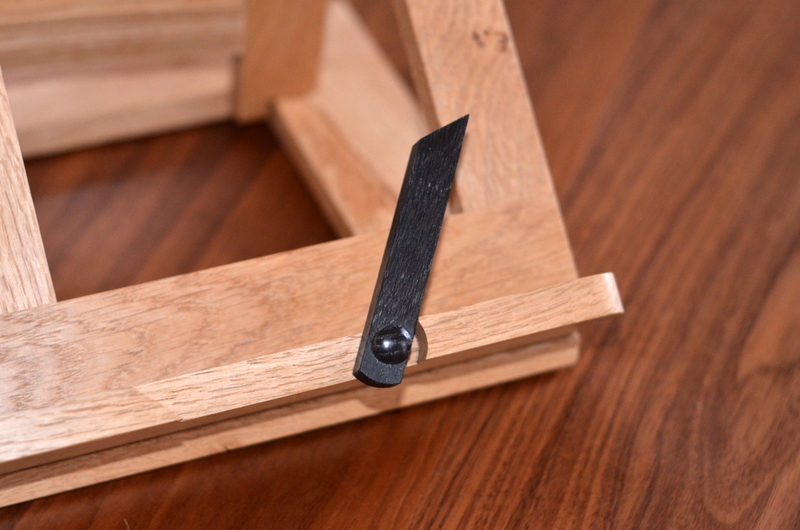 … and so are the dowels which act as hinges for the frame that props the stand open. Here are a couple more. 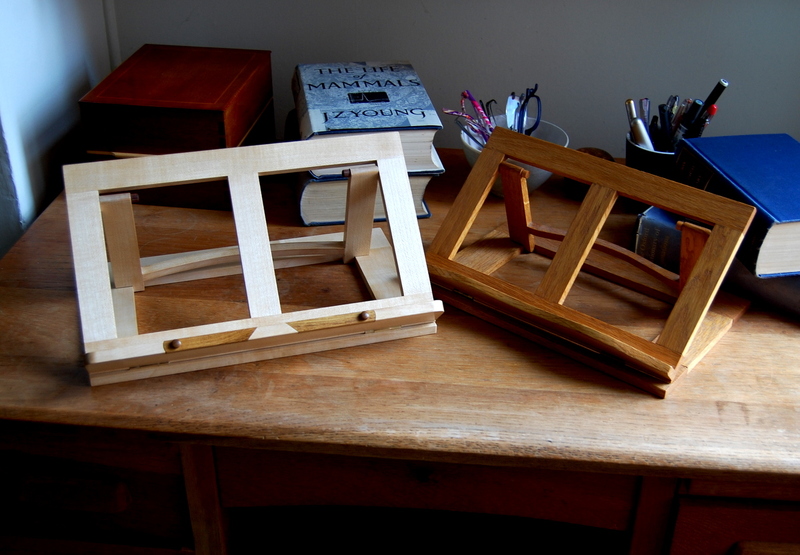 The one on the left is is sycamore, with page holding arms and dowels of laburnum. The construction is fairly straightforward. 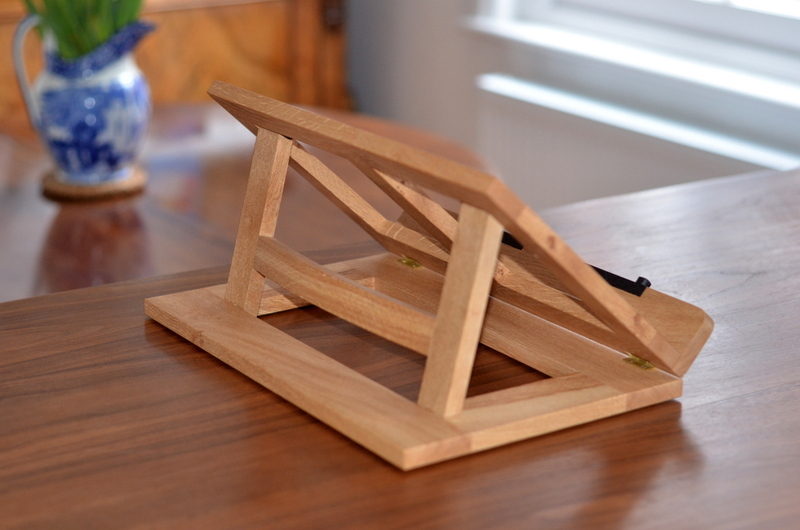 The only tricky bits are in making a neat job where the arms that keep the book open fit into the bottom ledge and in constructing the curved stretcher of the frame that allows the stand to fold up when not in use. I’d be happy to give more details if anyone is interested.